ASTANA – Kazakh singer Naziya Alzhanova, better known to her listeners as NAsia, is making waves at home and abroad in jazz, funk, blues and soul. In an interview with The Astana Times, she talked of her humble beginnings, recent projects and long-term aspirations. Naziya Alzhanova. Photo credit: Alan Kolomets. Alzhanova’s rousing performance of Etta James’ “At Last” secured first place at the Big Sky 2017 international jazz competition in Moscow. She impressed a global jury of record company producers, concert and festival agents and music distributors. Born in Almaty, Alzhanova attended a linguistic gymnasium school and later graduated from the Almaty Institute of Foreign Languages. Her strong linguistic foundation enables her to sing in several languages. Her musical background includes Tagir Zaripov’s Jazz School, where she first developed a passion for jazz, and the Milan Accademia del Suono. There, she met musician Dennis Montgomery III, who praised her unique timbre and encouraged her to continue studying. Since completing her education, she has pursued performing onstage. “I accepted every opportunity to face people and let them hear me, so I sang in different situations – in small pubs, clubs, restaurants, living rooms, big philharmonic halls and even once in the steppe. With experience, now I can say that performing is not so much about the location or concert hall, but more about a good sound, the right atmosphere for the music you will play and the audience,” said Alzhanova. These days, you won’t find her singing background music while people talk and eat. She has matured as both a performer and musician. In June, audiences were treated to Alzhanova’s vocals, accompanied only by musician Ruslan Zhurbin on guitar, at her Boring Collection concert. “It was important for me to implement the whole idea without any compromises regarding the audience’s potential preferences, colleague’s opinions and the risk of losing fans,” she said of the bold move. Following the successful project, Alzhanova feels inspired to face risks head on, with much to say and sing. Her dream collaborations include the Jazz at Lincoln Centre Orchestra with Wynton Marsalis, Tony Bennett, Kurt Elling, Robert Glasper, Bjork, Adele and Daniel Caesar. Boring Collection was a small-scale but important contribution to Kazakhstan’s budding music scene. Still, Alzhanova wishes and urges the music community to develop at a greater pace and foster a young generation of musicians, producers, managers and listeners. She welcomes initiatives such as more music festivals, shows and contests for talent discovery and development. “Kazakh voices and melodies are unique. There are youngsters with great potential on the global musical stage,” she said. Her listeners are a small, dedicated fan base aged 20-60, who Alzhanova characterises as romantic and open-minded individuals, like herself. 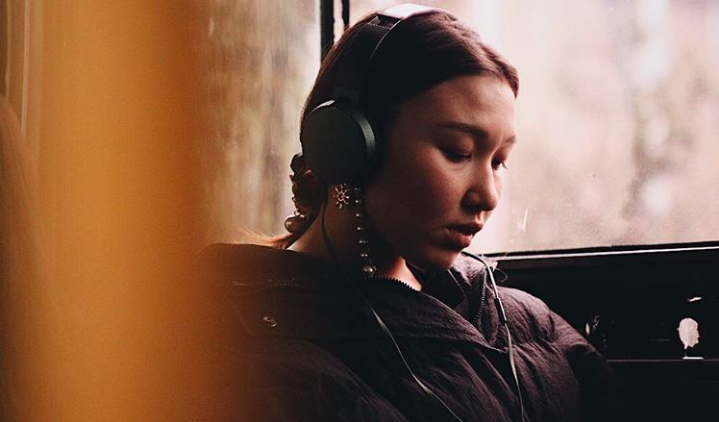 Alzhanova invites readers to her show, since listening to her live is the best way to become acquainted with her and her music, and listening to jazz is a great way to both relax and, for many Kazakh listeners, step outside their comfort zone. “You can listen to me at different festivals such as Jazzystan Music Festival, Almaty Jazz Festival and Esentai Music Festival. I am currently based in Almaty, so you can catch me live at the Muzkafe Pub or at my regular monthly show,” she noted. Alzhanova’s music is available on YouTube (@nasiafromasia), VKontakte (@nasiafromasia) and Instagram (@nasiafromasia).